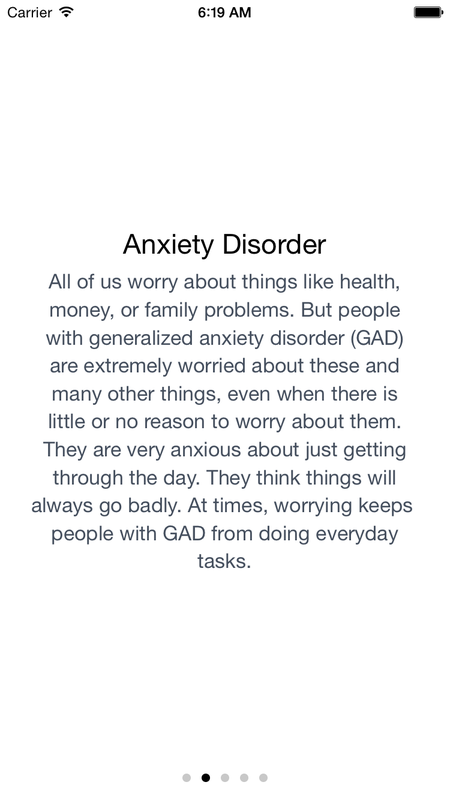 Generalized Anxiety Disorder (GAD) affects about 3.1% of American adults (aged 18 years or older) in a given year, totaling about 6.8 million people (Generalized Anxiety Disorder 2014) . The average age of onset is 31 years old, though it often develops gradually between childhood and middle age. Treatment for GAD has been the subject of extensive academic research, and many techniques have proven effective in dealing with both short and long-term symptoms. The iOS platform is one of the most popular available, and its mobile application market already features tools to help patients with anxiety, diabetes, cancer, and other illnesses. Combined with its thriving and powerful development toolkit, iOS offers an extremely promising opportunity for GAD patients to treat their symptoms privately through interactive self-help techniques. The goal of this exercise was to prototype an interactive self-help iPhone application that offers a comprehensive recovery program for all GAD patients by incorporating principles from some of the most heavily researched treatments available. Anxiety in itself is not a disorder. As anxiety specialist Dr. Edmund Bourne (2005) and other experts have noted, anxiety is often considered inevitable in contemporary society. Worrying can be a useful, appropriate response to challenging situations in everyday life. It becomes a diagnosable disorder, however, when a person worries excessively about a variety of everyday problems for at least 6 months (Generalized Anxiety Disorder 2014) in a way that noticeably interferes with their normal lives. 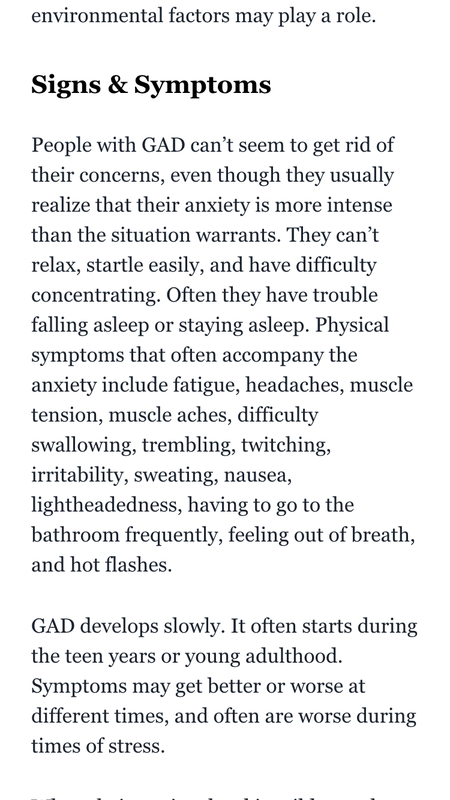 Physical symptoms of GAD can include fatigue, headaches, nausea, twitching, muscle aches, and irritability; mentally, patients can’t relax, startle easily, and have difficulty falling asleep. Relapse is a major concern for GAD patients. Treatment options that address one or two contributing causes – biology, upbringing, conditioning, stressors, self-talk and belief, ability to express feelings, etc. 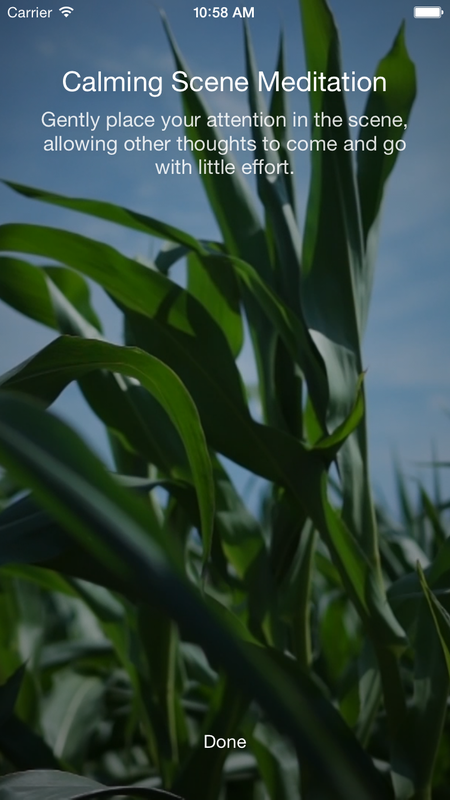 – usually only alleviate GAD symptoms temporarily. According to Bourne (2005) , a complete program of recovery from an anxiety disorder must reduce physiological reactivity, eliminate avoidance behavior, and change subjective interpretations or self-talk which perpetuate a state of apprehension and worry. Meta-analyses have already shown computer-based self-help treatments to be effective in these areas (Williams 2001) . GAD patients tend to view the world as a threatening place, a misperception that can intensify quickly and lead to a downward spiral of anxious responses (Newman and Borkovec 1995) . Cognitive-behavioral therapy (CBT), one of the most popular treatment options available for GAD, is based on this observation. 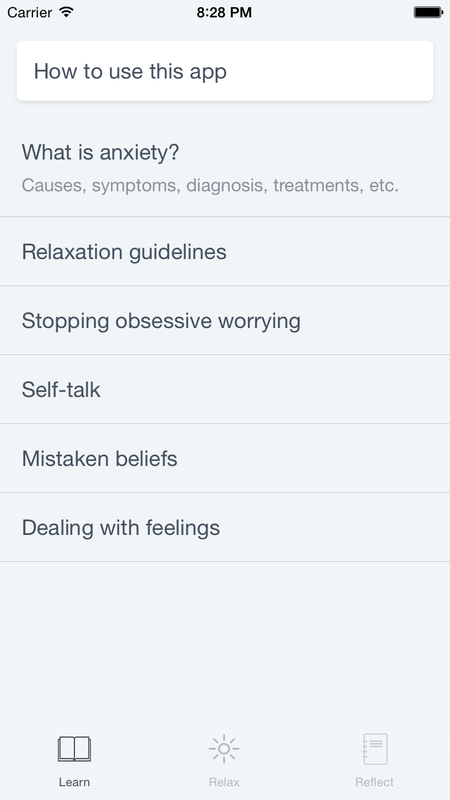 Self-monitoring is foundational to CBT; patients are taught to pay attention to their anxiety level throughout daily activities to catch patterns of worrisome thinking early on and cope with them immediately using a variety of techniques. These can be personalized from patient to patient, but often include practices like meditation, guided imagery, muscle relaxation, deep breathing, etc. Positive psychology is a semi-structured treatment for depression and anxiety that tries to shift patients’ focus towards positive emotions and personal strengths. Techniques can include daily exercises that emphasize positive experiences or structured journals to record such episodes of wellbeing. Positive psychology was designed as a complement to more comprehensive methods like CBT, not a freestanding alternative in its own right. That being said, studies show that positive psychology (also called Well-Being Therapy) paired with CBT can be more effective at preventing relapse in GAD patients than CBT alone (Fava et al. 2005) . Whenever applicable, the design of this application defers to well-researched principles and documented guidelines rather than personal preference in an attempt to diminish or at least remain neutral to symptoms of GAD, never contributing to them. Great care will be taken to ensure its design is easy to follow, unobtrusive, and consistent with other platform applications. Broadly speaking, color psychology is the study of color as it affects mood, emotions, and behavior. Though research in this area is sometimes criticized for its inconsistency, some studies make undisputed implications for software design. The reason red is almost always used in error messages or alert dialogs, for example, is because the color has been found to excite more emotion than neutral colors like blue and green (Jacobs and Seuss 1975) . An orange headline may draw more attention than a gray one, for example, while a light blue background may feel more calming than a white one. Colors in this application were chosen based on relevant research in an attempt to ease users rather than exacerbate their anxious symptoms. For analytical personalities it can be helpful to read objective, scientific explanations of anxiety and its symptoms; they offer a chance to step back from the unpleasant feelings associated with the disorder and gain a clearer understanding of their origin. 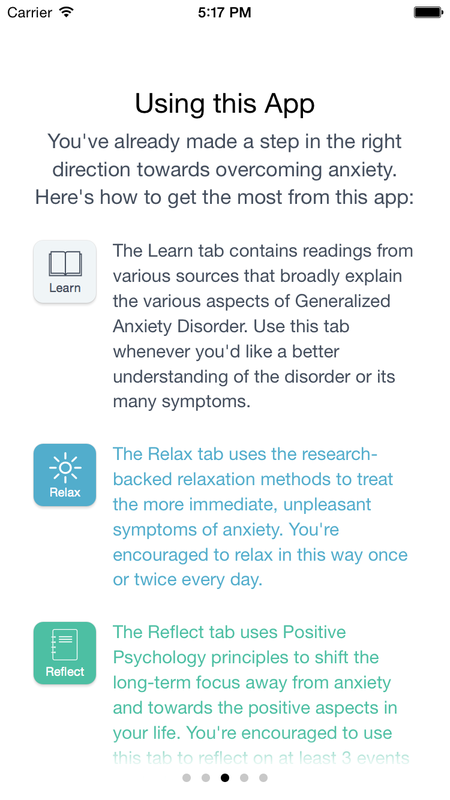 Moreover, any application that would attempt to guide users through an anxiety recovery process would warrant at least a vague description of the actual disorder itself. This should instill a sense of confidence in the user about the application’s approach to recovery, and make them more likely to continue using it. These will be covered in greater depth in a later section. Equally important to this application as the previous CBT-related features is a Positive Psychology aspect to prevent relapses during the recovery process. Much of the literature seems to agree that the most helpful technique for creating such a shift is to keep a daily journal of positive events, no matter how trivial. 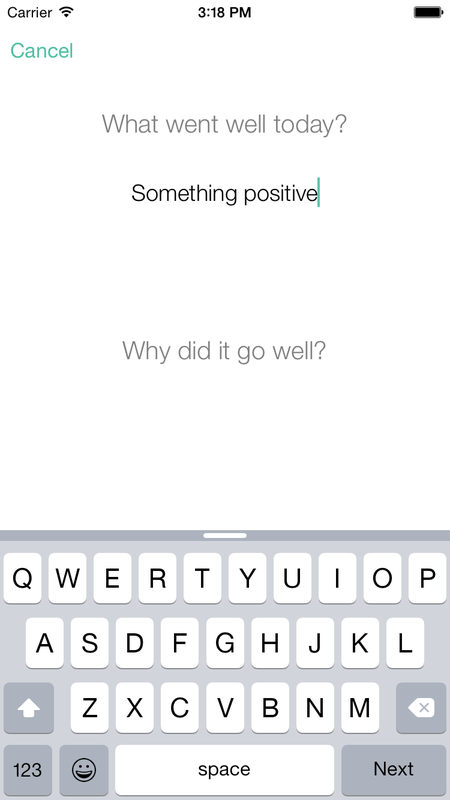 It was decided that such a journal would be integrated into this application. This short list made it easier to focus on only the most important aspects of the application at all times in the design process. Before layout, color palettes, interactions, or any specific detail of the application’s visual design were considered, a few goals were solidified to keep in mind over the duration of the design process. This goal is trivial but helpful to keep in mind considering the target audience for the application. The design of this application should never be obtuse, or present an unnecessary burden to the user’s experience. 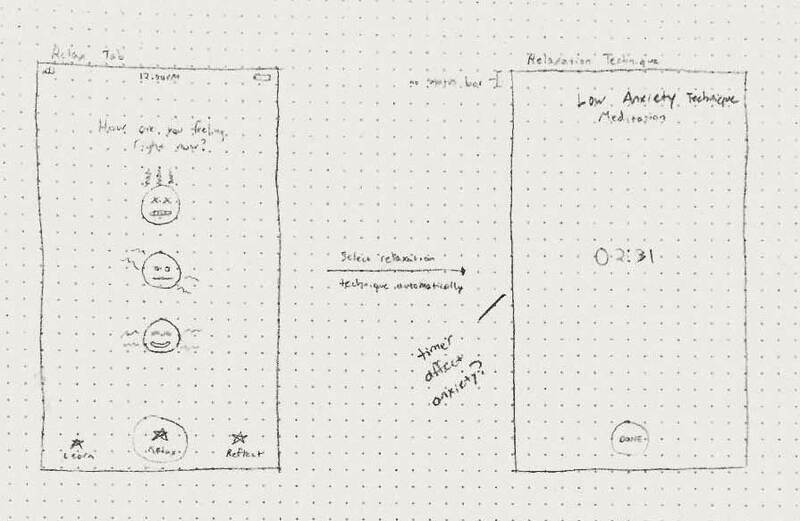 If the user is already in an unpleasant or agitated mental state – a likely possibility given the nature of the disorder – this application should not exacerbate it. 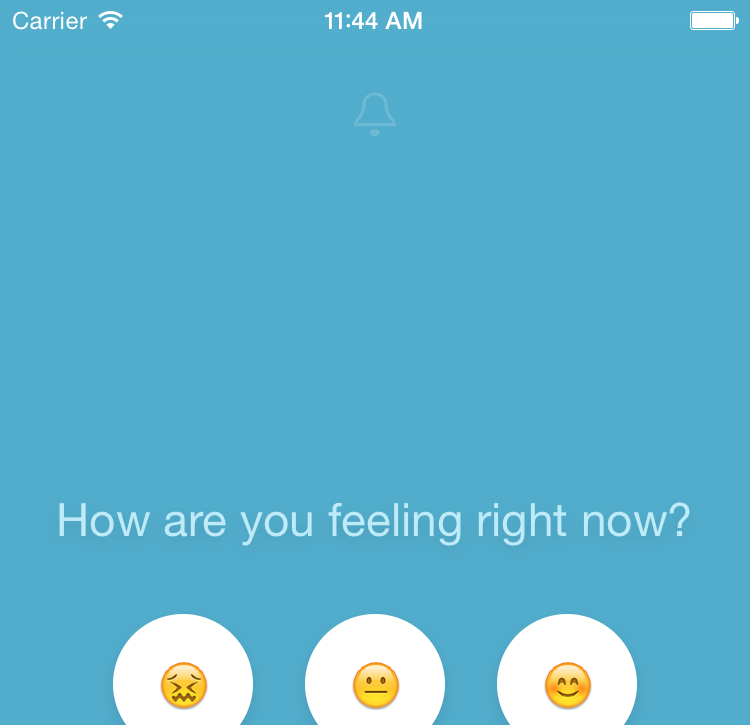 Though the feature set of this application was kept to a bare minimum, users needed to be provided as complete a self-help anxiety recovery program as possible. Ideally, the application could confidently stand on its own as a starting point for relapse-free anxiety treatment, and easily allow for the possibility of extending it through more specific applications, such as Headspace or Calm for a more comprehensive meditation practice. This was the most important balancing act in designing the application. Consistency is important when attempting to overcome anxious symptoms; it’s easy to “forget” to practice relaxation techniques when everything feels like it’s going smoothly, though repetition is a key aspect of long-term anxiety recovery. On the other hand, users shouldn’t start perceiving the application as an annoyance more than an aid, so being mindful of this distinction as much as possible seemed paramount. Guii started struggling with anxiety after a recent breakup. He's starting to see a new person and although they're enjoying their time together, he struggles with negative self-talk and worrying that she’ll stop talking to him. He's started to lose sleep and now seeks a tool to help him relax so he can focus in his relationships and at work. Chloe has dealt with anxiety in one form or another for a few years now, though she rarely talks about it with any of her close friends or family members because she’s ashamed to admit how she feels. Recently, however, she’s finding it harder to not get agitated at little details and other’s behaviors, which are detracting from her relationships with people she truly cares about. She’s determined to take action into her own hands. Aaron’s recent loss of a best friend in a tragic car accident has started making him anxious when his wife or teenage daughter get behind the wheel. He understands this fear is somewhat irrational, and would like to minimize his episodes of catastrophizing whilst remaining aware of the dangers of driving and doing his best to keep his family safe. Lucy has never identified as an anxious person, but recently started feeling discontent in everyday life and attributes this to her incessant worrying about being judged by those around her. She’s tried self-help applications before but either dismissed them as irrelevant or forgot about them entirely. Regardless, she’d like to become more aware of these thought patterns to prevent them from impacting her behavior in social situations and at work. This step helped establish a clear direction for the application’s design. By putting a face (albeit imaginary) to these users, it became easier to establish a visual hierarchy for the application, prioritize certain features over others, and limit the number of overall screens to a bare minimum. These personas were referred to repeatedly throughout the rest of the design process. 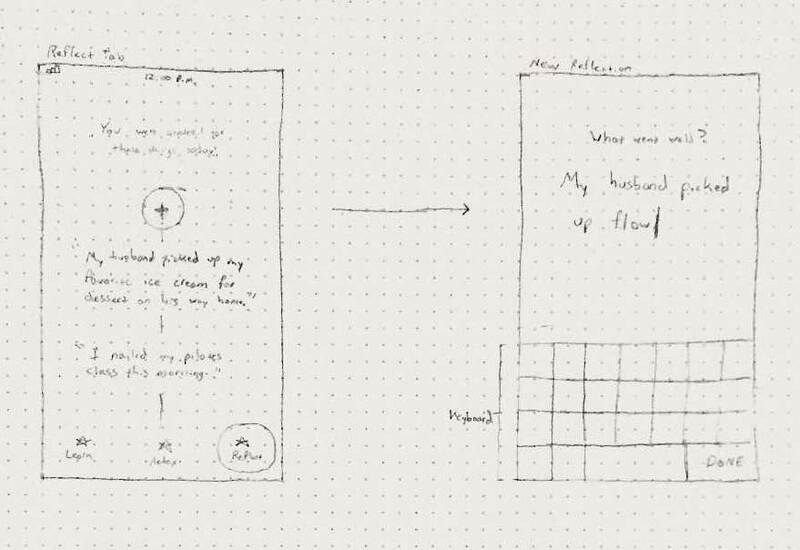 These wireframes served well for the remainder of the design stage. The choices and thinking visible here will be explained in detail below. The application is divided into three primary actions: “Learn”, “Relax”, and “Reflect”, each representing one of the core features described above. A tab layout was used in accordance to the iOS HIG, which prefers a tab bar to support a flat information architecture (2014, p 49) . The tab icons were taken from the NounProject, and used with permission. 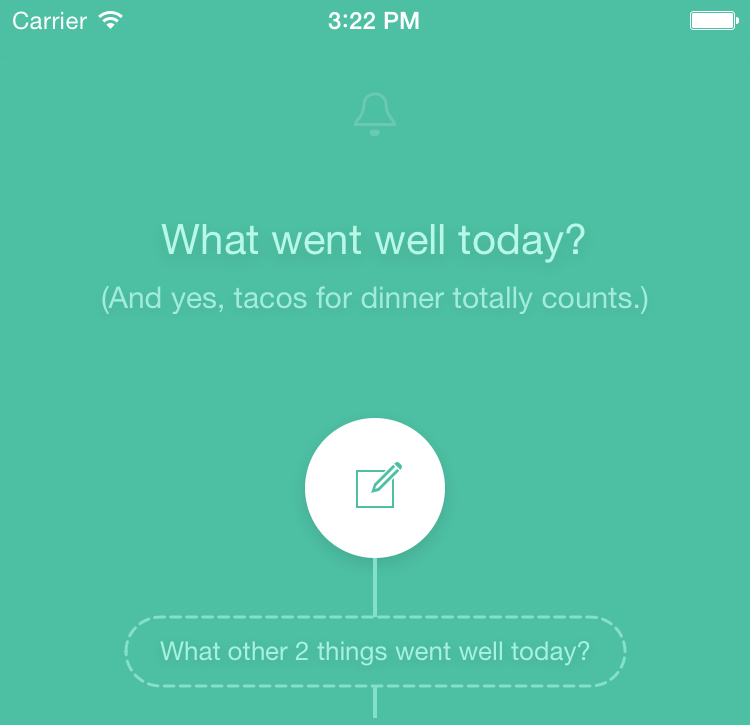 Onboarding tutorials like this are a kind of gray area in iOS app design. At best, they provide a clearer starting point for new users than, say, an empty screen; at worst, they force the user to read fluffy marketing text and/or sign up for a service before they can begin using the application. Apple seems divided on the issue as well, advising designers to “think carefully before providing an onboarding experience” (iOS Human Interface Guidelines 2014, p 36) . I heeded their advice and decided a brief instruction screen would offer a better springboard for guided recovery than the default screen (the Relax tab). The screens included in the final application were deemed most important for first launch. A brief description of GAD (Figure 2.8) was included after the welcome slide to provide a clear understanding of the disorder and who might be affected. Next, an explanation of the application’s three main tabs and how to use them was displayed (Figure 2.9). 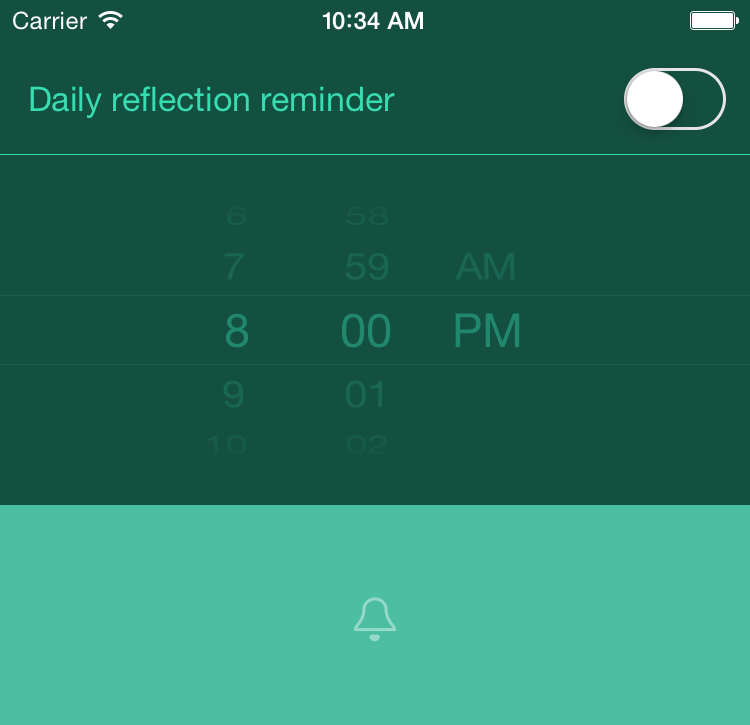 The daily reflection reminder preference wasn’t shown here, set to a reasonable default of 8p.m. 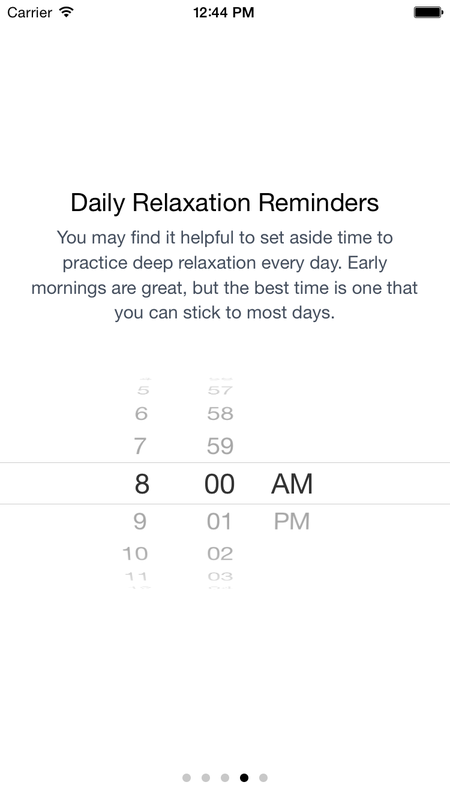 instead, while the relaxation reminder – which ideally would be set to the user’s normal waking time – felt more individualized so it was shown in the second to last slide (Figure 2.10). The last slide contained some final words of encouragement, and a button to dismiss the tutorial (Figure 2.11). 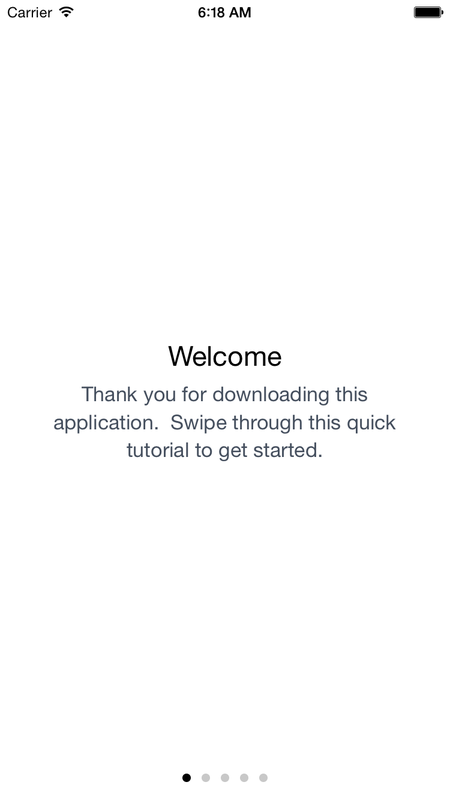 Admittedly, the onboarding tutorial falls short from a user engagement perspective. Given more time, some slides could certainly benefit from additional interactivity, especially the one shown in Figure 2.9 which a user might reasonably skip due to its intimidating length. In any case, the tutorial itself is interactive, using the recommended page control (p 49) to allow users to swipe back and forth between slides. Apple encourages developers to remember whether a user has viewed the onboarding tutorial to ensure it’s only displayed once. This was implemented during the development phase of the application. Once the user reaches the final slide of the tutorial and taps the “Get Started” button, the tutorial is dismissed and they can begin exploring the application. This tab (Figure 2.4) represents the first core feature from the section above: reading materials. There are two UI elements on this screen: a button to re-launch the instructions slide from the onboarding tutorial (Figure 2.9) and a table view listing of the available readings. The readings are excerpts from Bourne and the National Institute of Mental Health. When a user taps one of the available readings (Figure 2.12), an expanded reading view opens (Figure 2.13). As the user scrolls to begin reading, the navigation bar and status bar disappear to support a full-screen presentation (Figure 2.14). These elements reappear when the user scrolls back up, allowing him/her to return to use the standard navigation buttons to return to the Learn tab. The background color of this tab is light blue, chosen for its calming properties (Jacobs and Seuss 1975) and suitability for dark foreground text. This tab represents the second core feature from the section above. Because of its importance, this tab is selected by default when the user launches the application (except in certain situations). The background color of this tab is a vibrant blue, chosen for its relaxing properties (Jacobs and Seuss 1975) and to distinguish between the lighter blue of the Learn tab. 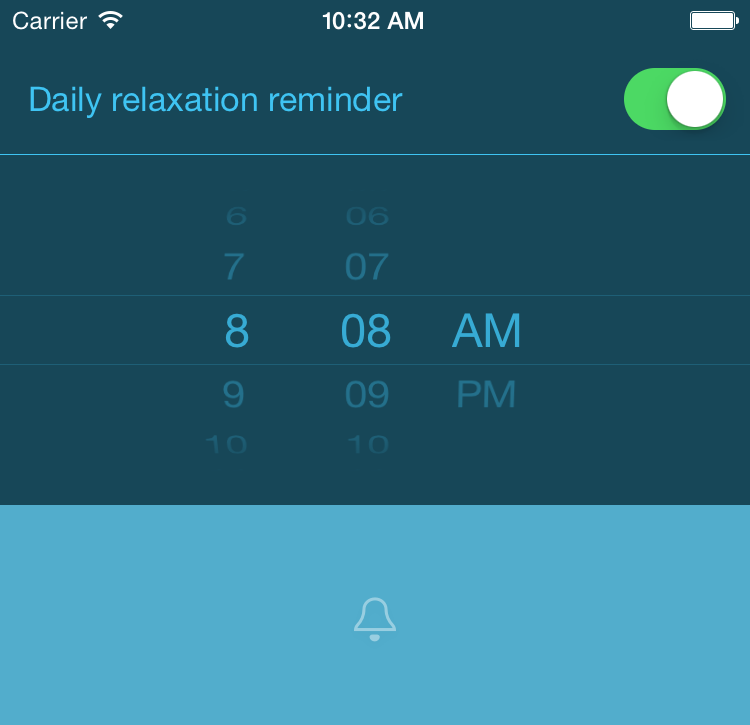 When tapped (Figure 2.16), the reminder icon opens the view in Figure 2.17, which lets the user toggle the daily relaxation reminder and change its time. Changes to these settings are saved automatically, so this view can be dismissed by tapping anywhere else on the screen. 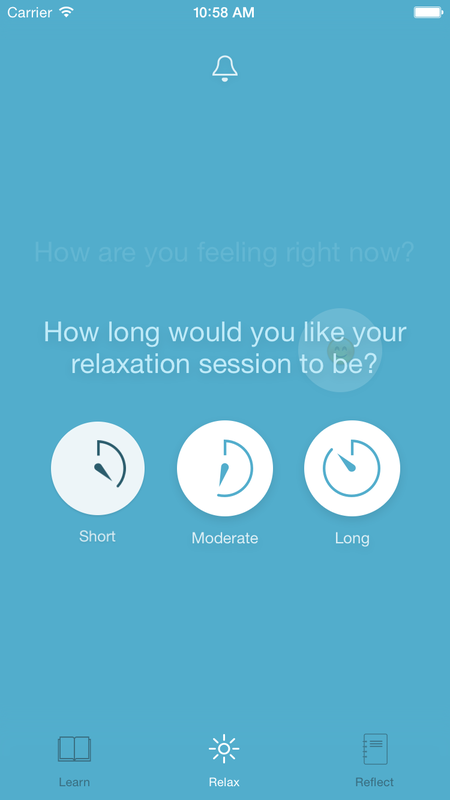 The mood picker is the primary focus of this screen, as it allows the user to begin the relaxation process. 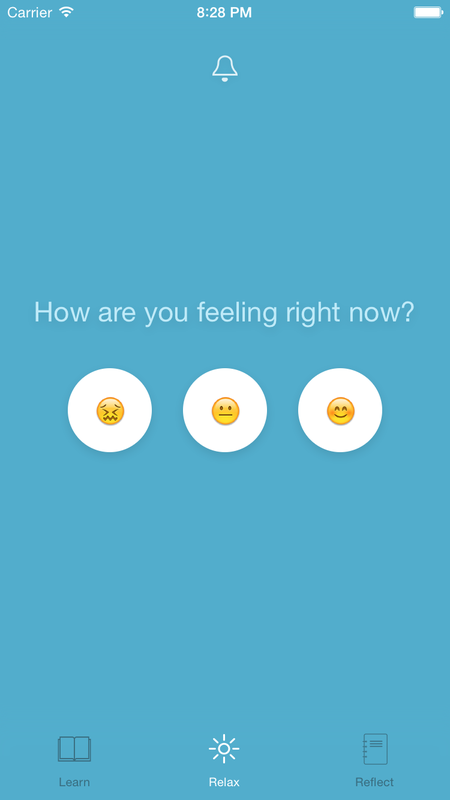 The picker consists of three buttons, labeled with appropriate Emoji characters to represent the various moods a user might identify with. Once the user selects one (Figure 2.18), a similar view appears underneath for him/her to determine the duration of their relaxation session. When the duration is selected (Figure 2.19), an appropriate relaxation exercise – or sequence of exercises, depending on the duration chosen – appears (Figure 2.20) and the user can begin relaxing. This exercise is prioritized for less anxious moods, and as such was designed to convey a more playful, lighthearted attitude. 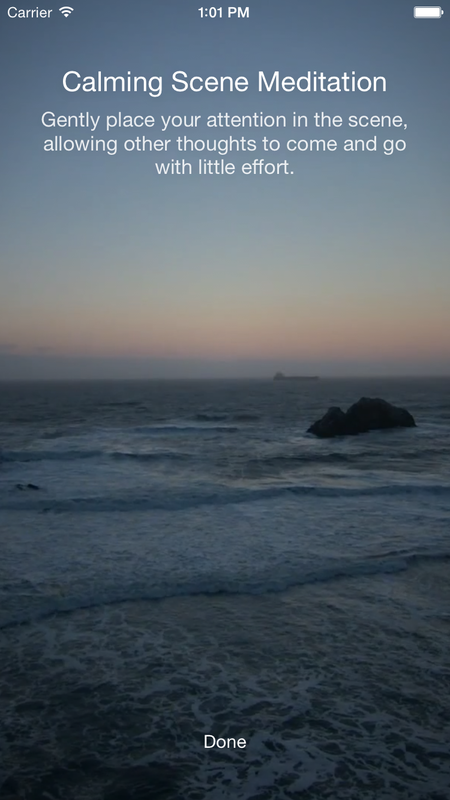 It displays a full-screen looping video of a calming landscape which pans automatically if the user tilts their device left or right. The user can also swipe left or right to change to any of the 5 included landscapes, and the application will remember which one they viewed last to display the next time they use the exercise. The instruction text will fade out automatically after a brief interval, but the user can tap anywhere on the screen to make it reappear if desired. 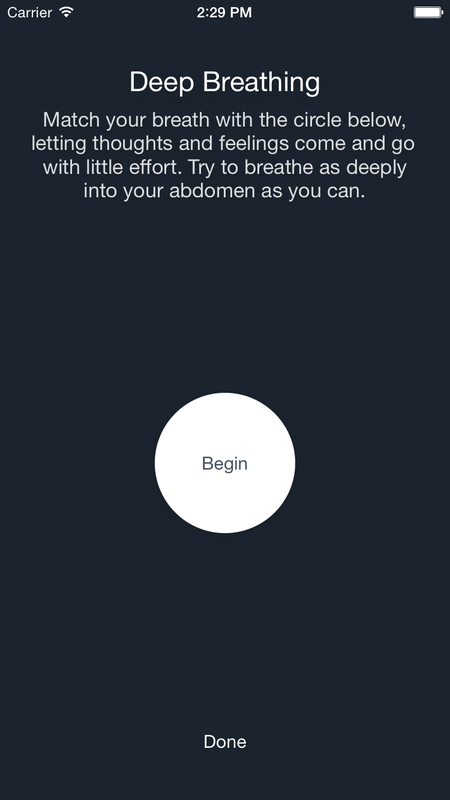 This exercise is prioritized for more anxious states, driven by a single button that guides the user through a deep abdomen breathing procedure. When the user first taps the "Begin" button, the button's label changes to instructions while the button itself grows or shrinks as an additional visual aid. 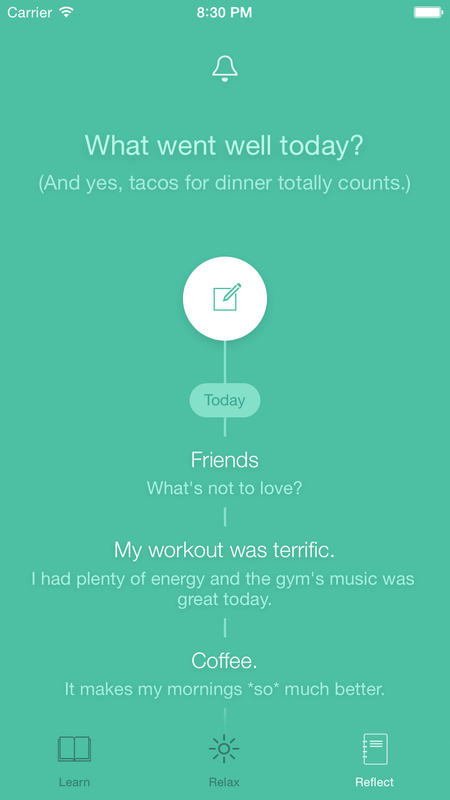 The user can pause the exercise by tapping on the button again. The instruction text functions the same as in the Calming Scene exercise, disappearing automatically and reappearing on tap. 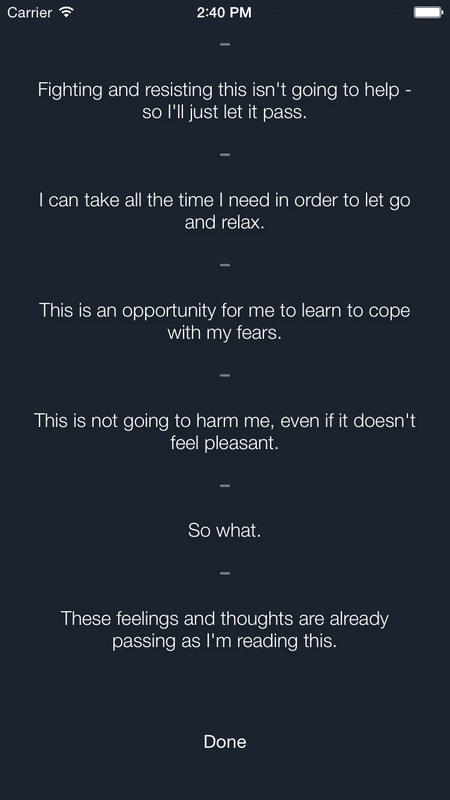 This is the simplest yet most beneficial exercise for anxious mental states. 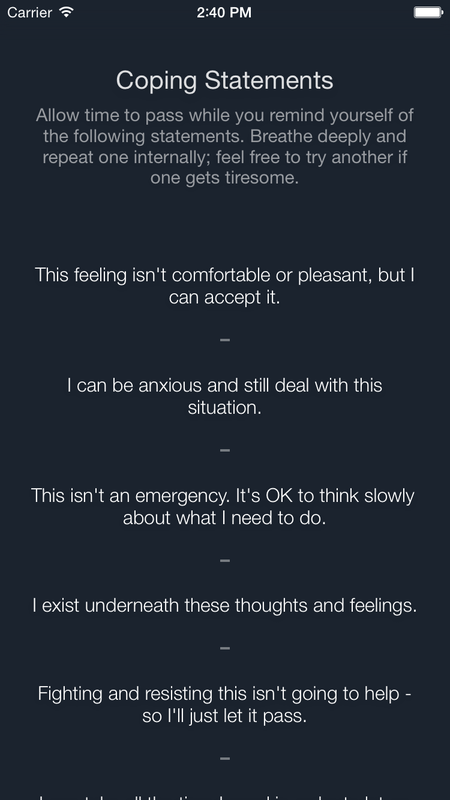 It displays a list of coping statements, taken mostly from Bourne (2005, p 417-418) , that the user is encouraged to mentally repeat to create a feeling of acceptance, understanding that the instinct to resist an anxious episode only makes it more unpleasant. The user can scroll this list freely and focus on any statement that he/she finds most relevant. 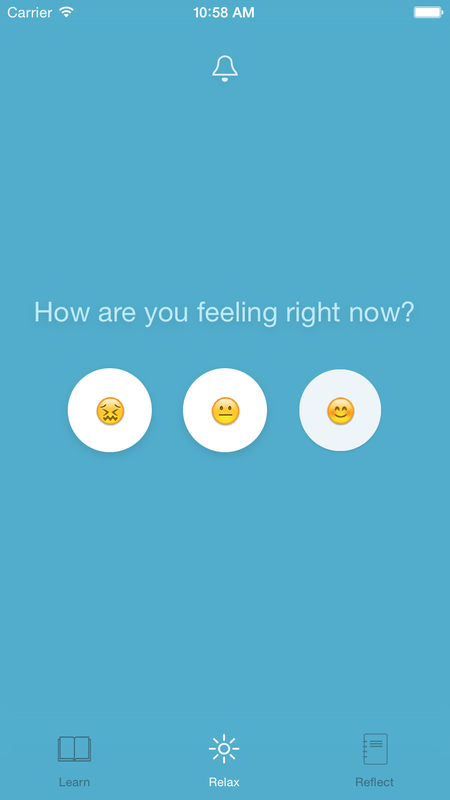 Due to its importance in these scenarios, it's always the first exercise whenever the user chooses the most anxious mood in the picker. This exercise is prioritized for the least anxious moods, as it likely requires the most focus and may not yield as immediate results as the other exercises. 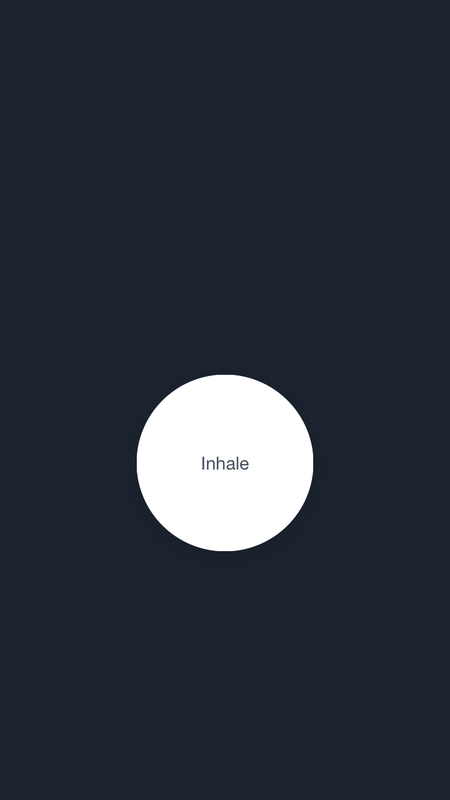 Like the breathing exercise, it consists of a single button to play a guided 10-minute meditation recording. If the recording is already playing, the button can be used to pause playback, and vice-versa. The instruction text in this exercise behaves exactly the same as in the deep breathing exercise. This tab represents the final core feature: positive psychology to create a long-term shift towards relapse prevention and positivity. This tab uses a vibrant green background color, chosen for its calming properties (Jacobs and Seuss 1975) and to differentiate between the Relax tab. 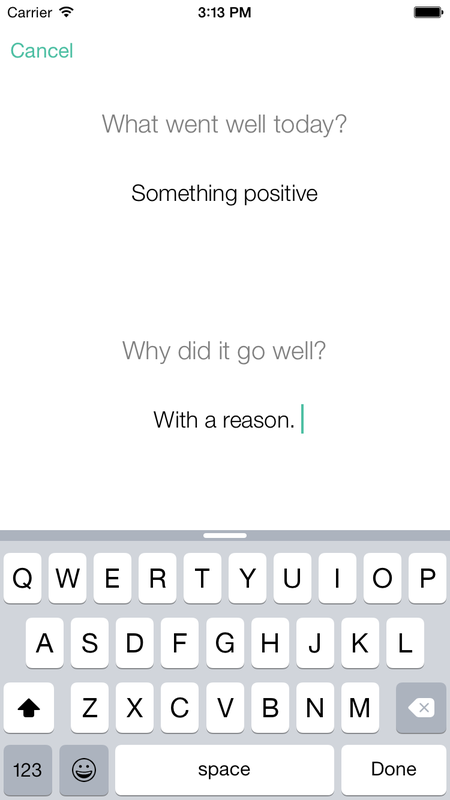 The compose button is the primary focus on this screen. 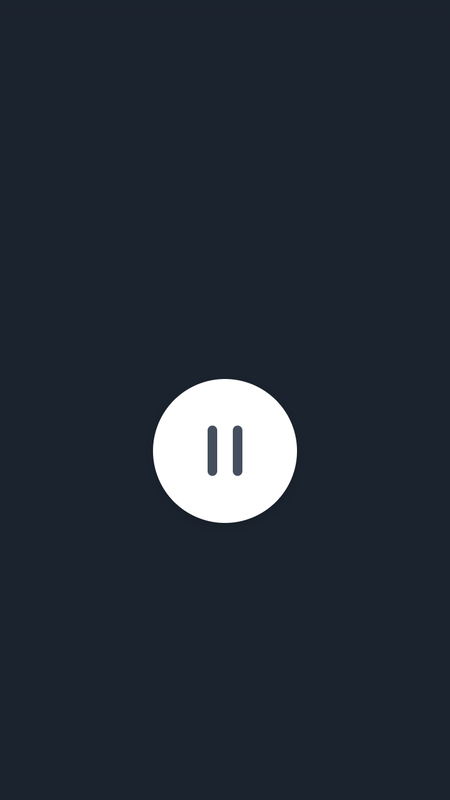 When tapped (Figure 2.31), it opens the New Reflection screen (Figure 2.32) and lets the user log a positive event at any point during the day. New events are added to the top of the timeline (Figure 2.34), which groups the last month’s reflections in reverse chronological order by day. The button itself uses the standard iOS compose icon found in Apple’s own Mail application. The timeline is a customized table view, following Apple’s aforementioned recommendation, and can be scrolled freely to view previous reflections. After the prototype was developed, user testing was conducted to measure its ease of use. Participants were solicited from a local college’s PSY 100 participant pool after receiving permission from the ethical review board. Two sessions of 4 participants – 8 participants total – were needed with no further prerequisites for participation. Participants received 1 research credit in exchange for their participation in the study. Participants were encouraged to work through these tasks at their own pace, and none took longer than the allocated 15 minutes. They were invited to voice any suggestions, criticisms, or other feedback during this time, all of which were compiled and selectively incorporated into the application after the studies were complete. At the end of the study, participants were encouraged to ask any final questions or voice final concerns before being given a full explanation of the application and its intended use and audience. Before leaving, they were thanked for their participation and given a final debriefing form. User feedback from these studies was largely positive. None of the eight testers encountered any obstacles or bugs they couldn’t overcome on their own, and few voiced concerns after their evaluations. 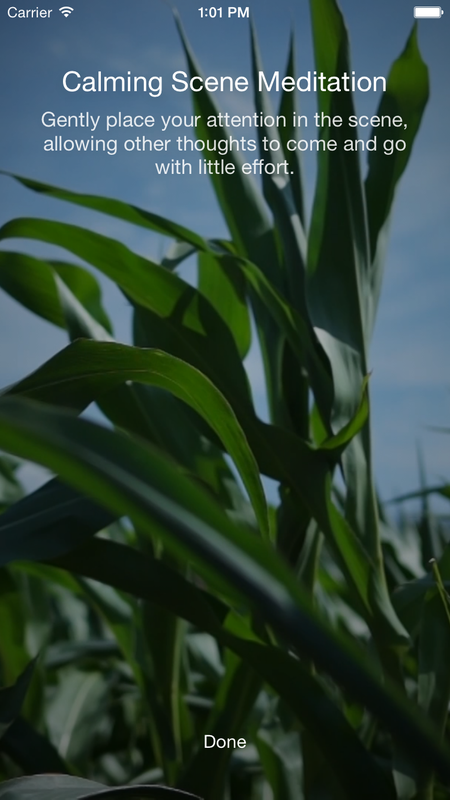 Many users expressed sincere support for the project, asking when it would be available for public download so they could recommend it to a friend or family member. For sake of completeness, all the (unedited) notes taken during these user studies can be found here. Despite the overall positive experiences, there were a few minor stumbling blocks nearly every user seemed to run into during their tests, knowingly or unknowingly. 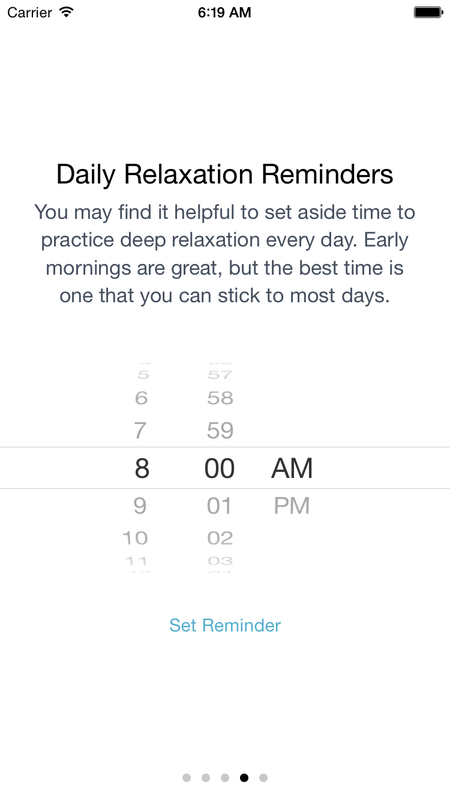 From observing the users' behavior, however, the second step seemed redundant; as the relaxation reminder is created anyway, any time the user picks on this screen should be used without the additional confirmation step. The "Set Reminder" button was therefore removed, and the functionality of the date picker was tweaked to configure the reminder automatically. Many users "missed" some of the text-only buttons – "Get Started" in Figure 2.11, "Next"/"Done" in any of the relaxation exercises, etc. – so the tappable area of these buttons was increased by 15pt on each side. This change is invisible to the users, but should result in fewer mis-taps. In trying to enable or disable a reminder using the toggle switch (Figure 2.30), some users inadvertently closed the view entirely. This occurred because any taps in this view outside of the switch or date picker were improperly configured to dismiss the view. This has been corrected; only taps outside the reminder view can dismiss it now. The goal of this project was to explore GAD treatment options and attempt to synthesize them into an iPhone application to offer a guided, comprehensive recovery program for GAD. 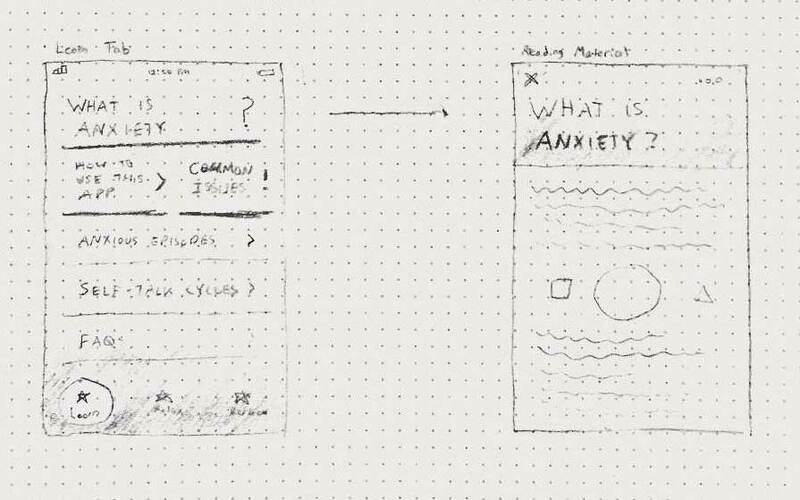 I learned a great deal about anxiety disorder, iOS app design, user testing, and project management over the course of this exercise, and for that reason I feel it was successful. I didn’t feel I had enough time to craft the truly engaging, interactive onboarding experience that Apple strongly recommends in the iOS HIG. I’ve not yet determined what such an experience might entail, but I’m confident I could make noticeable improvements to the final version of the tutorial with some additional time. 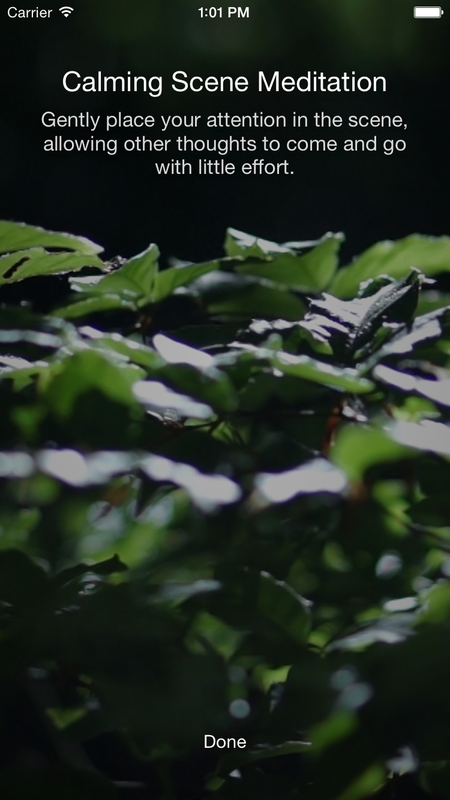 Given the sensitive nature of this application, I originally planned to provide the option for a password-protected lock screen upon launch, though ultimately I reasoned the only sensitive data is in the timeline of the Reflect tab. I think many users might feel a greater sense of security from such a feature. I was hesitant to muddle the Relax tab in any way, but I feel some positive reinforcement would be a nice touch to encourage consistent daily relaxation. The aforementioned Headspace meditation application, for example, uses streaks to motivate users to practice consistently, and Snapchat uses them with devious success. A similar feature seems appropriate for this tab, though it’d be important to retain ease of use as well. In closing, I’d like to sincerely thank everyone who offered their support to this project. It was a terrific exercise, and I learned a lot. Bourne, EJ. The Anxiety & Phobia Workbook. Oakland (CA): New Harbinger Publications; 2005. Fava GA, Ruini C, Rafanelli C, Finos L, Salmaso L, Mangelli L, Sirigatti S. Well-Being Therapy of Generalized Anxiety Disorder. Psychother Psychosom. 2005;74(1):26-30. Generalized Anxiety Disorder [Internet]. Bethesda (MD): National Institutes of Health; c2014 [cited 2014 Dec 18]. 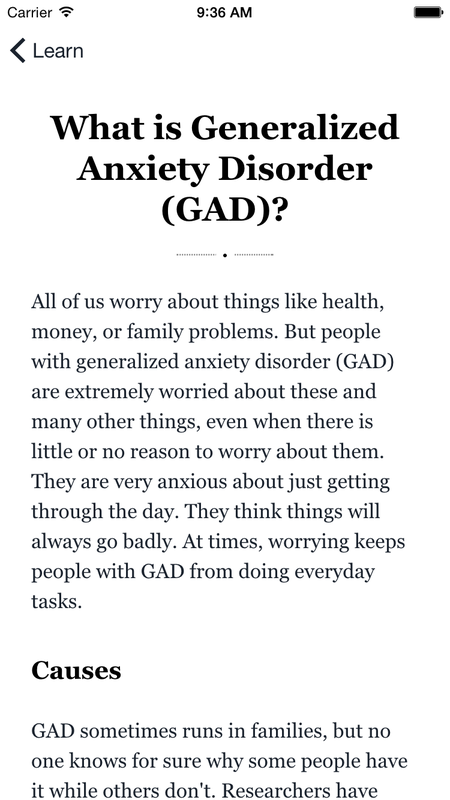 Available from: http://www.nimh.nih.gov/health/topics/generalized-anxiety-disorder-gad/index.shtml. 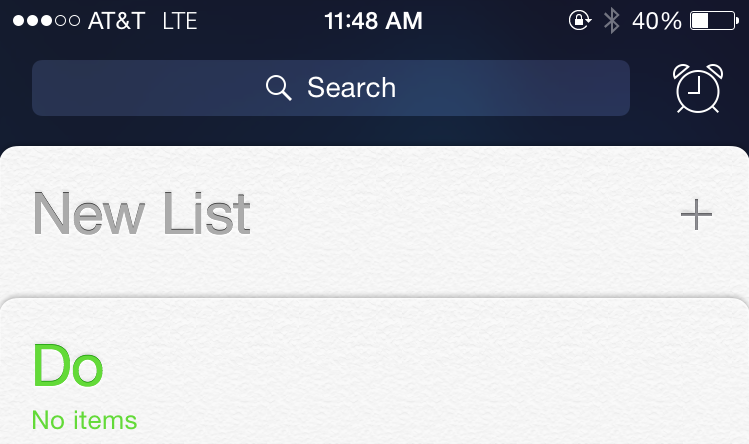 iOS Human Interface Guidelines. Cupertino (CA): Apple; 2014. Jacobs KW, Seuss JF. Effects of four psychological primary colors on anxiety state. Perceptual and Motor Skills. 1975;41(1):207-210. Newman MG, Borkovec TD. Cognitive-Behavioral Treatment of Generalized Anxiety Disorder. The Clinical Psychologist. 1995;48(4):5-7. Williams, C. Use of written cognitive–behavioural therapy self-help materials to treat depression. Advances in Psychiatric Treatment. 2001;7:233-240.